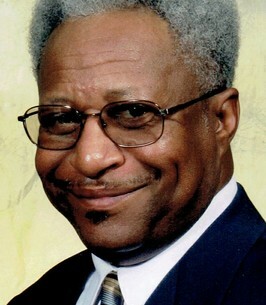 Stanley Roberts Service Details - Toledo, Ohio | The House of Day Funeral Service, Inc.
Stanley Roberts born in Toledo, Ohio on June 7, 1952 to the union of the late Lester and Rosa Roberts, passed away peacefully in the comfort of his own home surrounded by his loving family on September 10, 2018, at 66. He was a proud graduate of Jesup W. Scott High School and later graduated from the Toledo Board of Education School for Apprentices. Stan started his manufacturing career at Ford Motor Company, then became a sheet metal worker at VM Systems and finally a journeyman at Daimler Chrysler, retiring in 2013. Stan was united in holy matrimony to Rose Marie Roberts on August 27, 1998 sharing over twenty wonderful years together. They both enjoyed traveling and spending couples time with Tommie and Sharon Graham and Jon and Mary Sherer. He was a very loving husband and an avid Cleveland Browns and Ohio State Buckeyes fan and had a fondness for fishing and shooting pool. He was preceded in death by his parents; brothers, Terry D. Roberts and Lester Roberts, Jr.; and nephew, Jeffrey Roberts. He leaves to celebrate his life and memory, devoted wife, Marie; mother-in-law Betty Smith of Los Angeles, California; daughter, Tametria Tuggle-Williams (Reginald); sons, Stanley Grier (Tyrece), Armon Grier and Corey Mulligan; eight grandchildren, James Bacon III, Jawaun Grier, Janeil Grier, Sonya Grier, Armonii Grier, Jordyn Mulligan, Sharonda Tuggle and Alexandra Robinson; six great grandchildren, Nashonda lee, Rhayonna Villolovos, ShaRhay Villolovos, Rhaymoun Villolovos, Rhaymone Villolovos, Jamarion Bacon and another great grandchild on his way; sisters, Mary Ann Summrow, Jacqueline Terry, Debra Jones, and Bridgette Anderson; brothers, Larry (Verleena), Darryl, Richard (Betty), Christopher (Sandra), Mark, Michael; half-brother, Tony Roberts; and a host of other loving relatives and special friends. 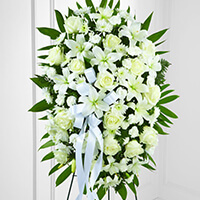 To send flowers to the family of Stanley Roberts, please visit our Heartfelt Sympathies Store. So sorry for your family's loss. May an abundance of peace be given to you. God hears your cries for help and is there for the broken-hearted.